Whatever you’re doing today have a fantastic day! We’re enjoying more present craziness, breakfast and lupper before we head off on the first part of our journey to Belize. Have a great bunch of days everyone! 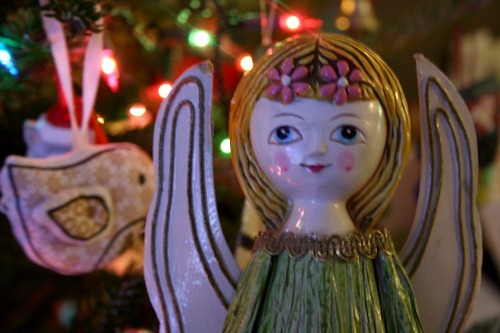 This entry was posted in fun finds, vintage and tagged angel, christmas, vintage. Bookmark the permalink.